With three double cabins, SDH can accommodate a maximum of six guests sleeping on board in two doubles and one twin. 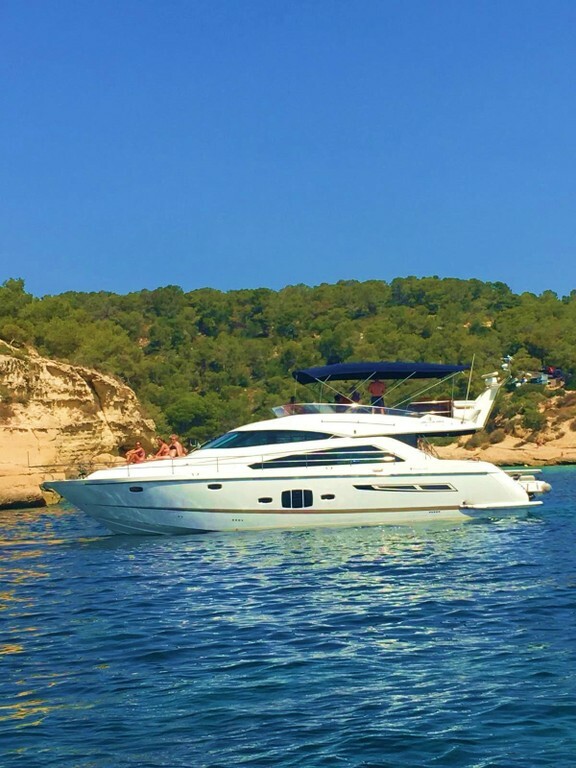 For day charter, she can accommodate a maximum of 12, including crew. Both double cabins feature king-size beds and all three cabins have stylish leather or marble en suites, full reverse cycle air conditioning, satellite TV and DVD/CD/ipod plug in player. To make you feel at home, you’ll be pampered with Egyptian cotton monogrammed bed linen, duck or goose down pillows and the highest-quality bath towels. SDH boasts plenty of space to relax, entertain and sunbathe. The stylish carpeted saloon seats 8-10 on smart leather sofas and has full reverse cycle air conditioning to keep you cool and dimmer lights to suit your mood. Help yourself to drinks from the bar area which has a fridge and crystal glassware. If you can’t bear to miss your favourite TV programmes, there’s a 40” flat-screen satellite TV with surround sound, and music is courtesy of a sophisticated audio system. Outside, the Aft Cockpit is a spacious area for al fresco dining and entertaining, with a teak laid deck and polished cherrywood table that can seat 8-10. A music system and blue mood lighting add to the ambiance.